At the end of the nineteenth century, when Ninian Comper was a young, up and coming architect, he was commissioned to design a set of seven damask patterns for the weaving company M. Perkins & Sons -- many of which are now woven by Watts & Co. These really marked the beginning of Comper’s career as a designer of fabrics. 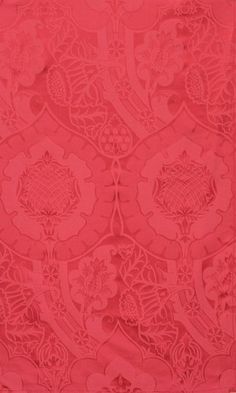 To our knowledge, he designed something in the region of fifteen damask patterns over his life. I would like to introduce you to a few of them and speak a little bit about where they come from. 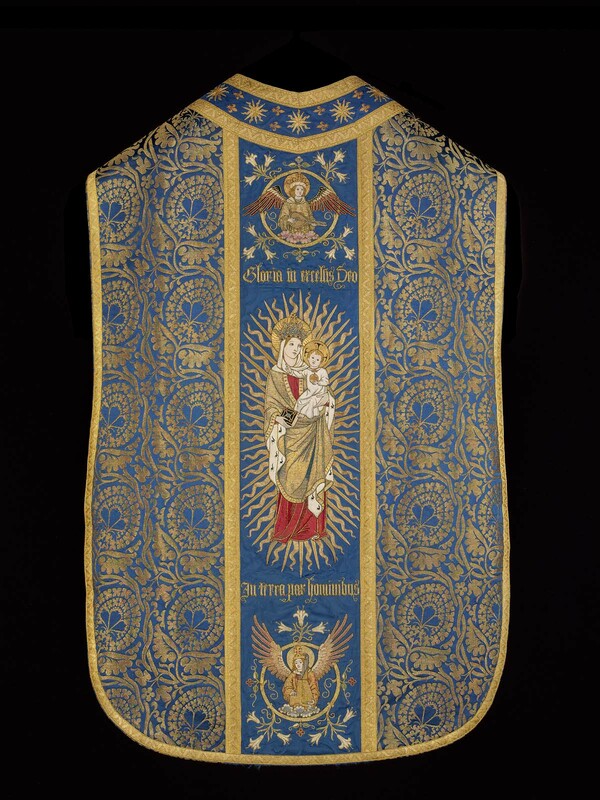 Comper primarily designed his patterns for public consumption, mainly for use in churches though not exclusively so. 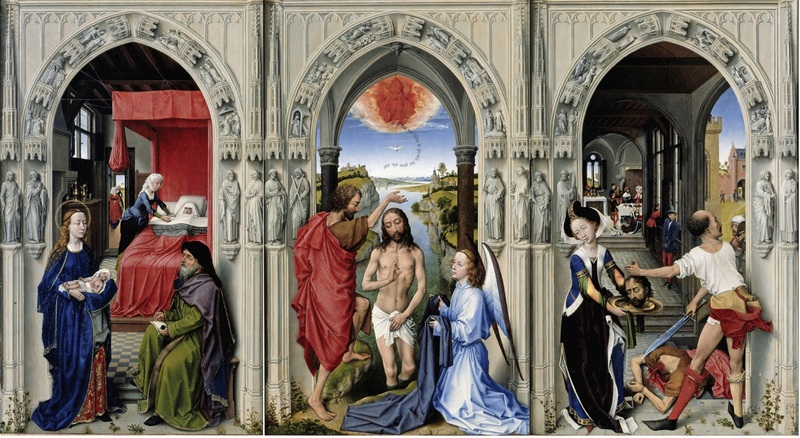 They represent his reinterpretation of fifteenth and early sixteenth century damask patterns based on his own study of paintings of the period -- most particularly the work of Rogier Van der Weyden. 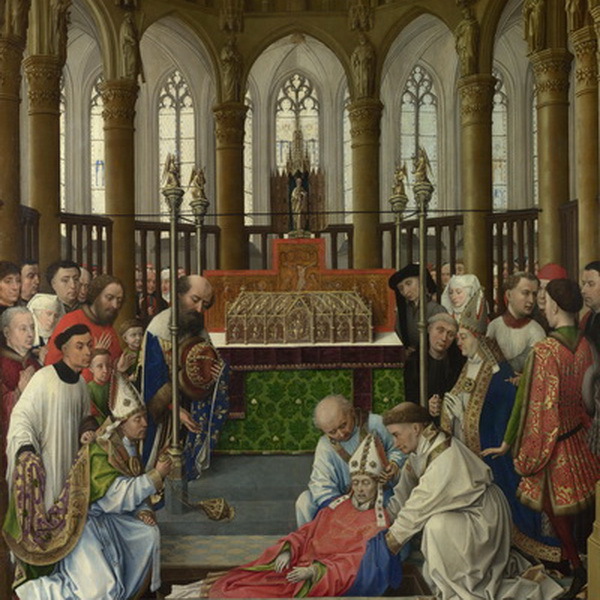 Taken from the last in a series of paintings of the Life of St. Hubert by Rogier Van der Weyden, the Exhumation of St. Hubert, there is a man standing on the right hand side of the painting in a surcoat which has this pattern on it. Comper re-drew this as a very striking close repeating pattern, used extensively as orphreys, but also as a main fabric. Another fabric drawn from a painting by Van der Weyden, this time a triptych of the life of St. John the Baptist. The pattern is to be found, very faintly, in the hangings of St Elizabeth’s bed on the left hand side. A fine, undulating pattern in a rose colour, used time and time again for dossal hangings, sedilia covers and altar frontals. 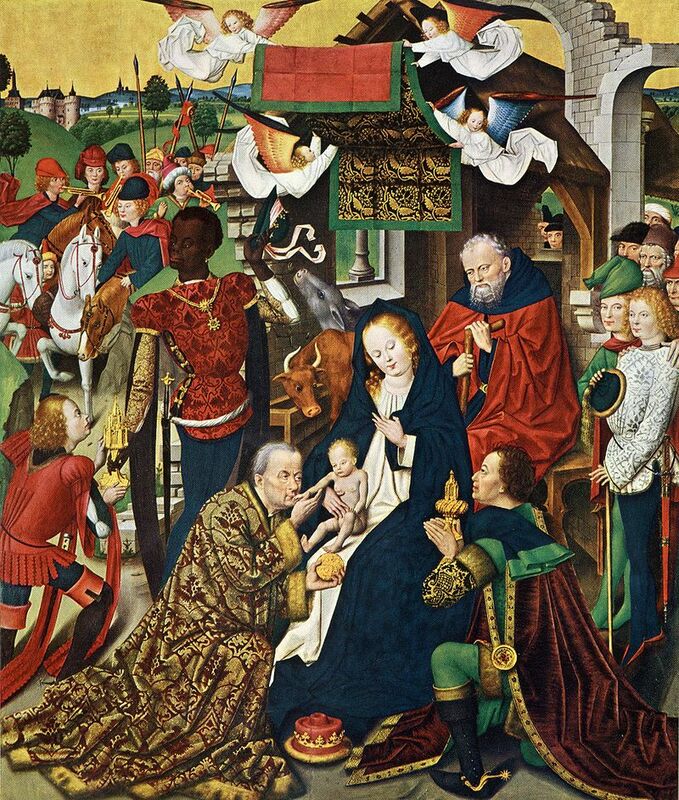 Sadly not currently being woven, "Pear" was another of the fabrics designed for Perkins, this one taken not from Van der Weyden, but rather from Baegert’s Adoration of the Magi, seen in a hanging borne by angels above the Virgin and child. 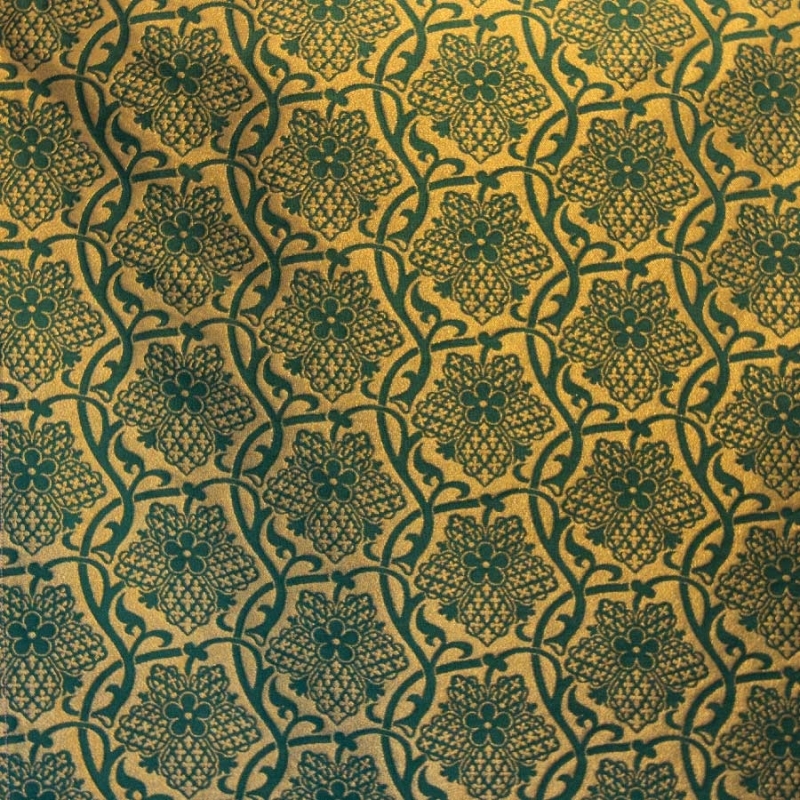 Woven as a cloth of gold: a golden ground woven with a coloured silk, the problem is then that the gold thread was too sharp for the silk and would shred it eventually. The chasuble shown is from the Boston Museum of Fine Art.